EzyDrain is a retro-fit product that is a multi purpose plumbing / pest control / hygiene product, it will fit into exisiting floor wastes. It is chemical free yet chemical resistant, designed The product is fully tested and Australian plumbing watermarked certified and is easily installed in approximately one minute. Bacteria or mould won’t build up or live on the device causing failure. Suitable for bathrooms, showers, laundries, water tanks or grate-pits to reduce bad smells, bugs, noise and kill infectious air-borne diseases such as Staph, Salmonella and many more problem diseases. A Simple long-term chemical free solution has not been available for all these problems in the past. By reducing air borne contaminants from living spaces this in turn reduces contamination into air conditioning ducts. 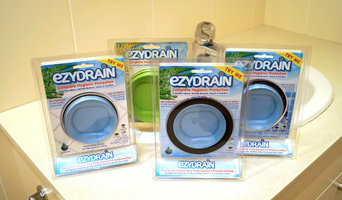 EzyDrain offers an affordable solution for these issues whilst reducing the need for deodorisers or chemical cleaners as a very green and eco friendly product. EzyDrain has been Designed to solve a range of common problems such as: * Stops bad smells entering the living areas from bathroom floor wastes * Reduces the use and need of deodorisers and other cleaning products saving in costs and allergic responses * Stops bugs entering and exiting through the floor wastes (ideal for use in commerical kitchens) * Kills air borne disease and bacteria before escaping from floor wastes into internal areas contaminating them * Helps reduce air conditioning systems from being contaminated by air-borne diseases transmitted from floor wastes into living spaces * Reduce unwanted sound and whistling between floors * Will trap small items that have fallen through grill for a simple fast retrieval * Stops suds rising from floor wastes in laundry areas which can cause accidents from slipping on wet floors. 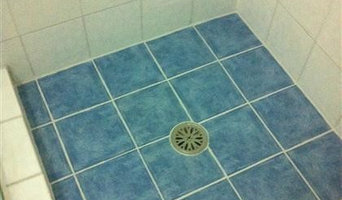 * Cleans debris and unwanted caked-on grout or soap from the internal walls of the plumbing pipe over time Also suitable for outdoor use such as: * Water tanks to reduce bugs breeding or entering * Grate-pits to reduce drain flies or bad smells permeating The product is made with ABS plastic with silver, the springs and support bar are made of stainless steel, no rubbers or glues are used to ensure the products longevity and ability to be chemical resistant. Bristol & Brooks is a designer gifts and homewares store based in Sydney City. We have a wide variety of items from some of the worlds leading design houses including Stelton, BuiltNY, Alessi, Eva Solo and Stenz. 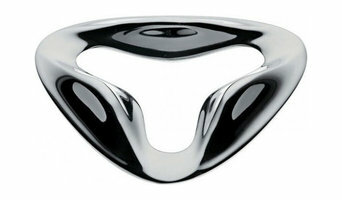 But of course one of our favourite brands (the pubic agree with us) is Alessi. Coming from their amazing design studio in Italy, these amazing pieces are a great addition to any property. With minimalistic styling they combine both elegance and practicality. We have great connections with Alessi so we can offer you exclusive deals on Alessi products. We stock the entire range of Alessi products, so if you are looking to update your home, adda bit more style, or are just after a unique and memorable gift, then come and see us at Bristol & Brooks, the Alessi Sydney specialists. Sydney Wide Showers incorporates our 0.6mm 'Diamond Channel' and Exclusive 'Resin injection system' to repair your leaking shower or balcony without removing tiles. No more mess, no more fuss. The benefits of our system and our business are: - Job completion on same day - Use shower next day - Rip up and remembrane can cost thousands of $$$ and take up to 5 days to complete! - No contractors - deal with the owner or full time employees each and every time - We only use Australian made products - Australian owned and operated - Licensed and Insured - GENUINE 12 years written warranty!!! Taps and More is a Sydney based company supplying high-quality kitchen and bathroom tapware of top brands such as Caroma, Dorf, Novelli, Methven, Rossto, Bastow, Flexispray, Zip, HiFlow, Irwell and Oliveri. With significant industry experience, Taps and More bring to you the finest range of innovative kitchen and bathroom products. Your one stop shop for all stainless steel wire ware: KITCHEN STORAGE Our product range is comprehensive, which means we can transform just about all areas of your kitchen into storage bliss! Have a difficult pantry? No sweat, there are many solutions, even for the most tricky areas. 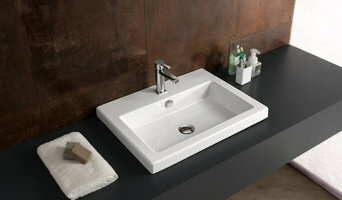 Is your under sink area a challenge? Just call us or send images, we can work out the perfect solution. Do you have a narrow space that’s hard to access? We have a wide range of possibilities. LAUNDRY STORAGE Did you know we have the largest range of slide out laundry baskets? Whether your cabinet is new or existing, large or small, we have options for just about all spaces. Because all our laundry baskets are made using stainless steel wire, you won’t have to worry about rust – our products are made to last! Whatever laundry storage challenge you have, we probably have the perfect solution. BEDROOM & BATHOOM STORAGE Need quality products for your wardrobe and bathroom? Explore our website for ideas and inspirations, alternatively email or ring with your storage dilemma and let us weave our magic! With so many sizes and options, digging in the back of cabinets will be a thing of the past. 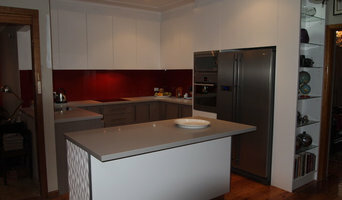 AustralianBuildingHomeCentre •Kitchen & Bathroom Renovation• We specialize complete home renovation and supply all building products. Tile, stone, lighting, and timber flooring. Polydor Kitchens supply a variety of materials and designs Polydor Kitchens deliver exceptional products as well as outstanding value for money. Backed by our uncompromised quality, craftsmanship and service we tailor our kitchens to suit your design and budget. "At Toole Stainless Steel, We specialize in custom fabrication of stainless steel Kitchens for all commercial and residential applications. We are proudly Australian owned and every product is made in Australia. Toole Stainless Steel is a leading company for cost effective metal and steel fabrication and welding services in Sydney. The metal fabrication industry is the industry that affects our lives every day and we don’t even realize it. We can have the doors, shutters, windows, tables and many other things that are produced from metal fabrication. Toole Stainless Steel is market leaders in the manufacture and installation of high quality stainless steel kitchens for all commercial and residential applications. Our Quality Standards Commitment to all of our clientele ensures that every project, no matter how big or small, receive the same level of build quality, from the first weld to the final finish, Toole Stainless Steel products are designed and built for long lasting durability, quality and beauty." Kitchens, Vanites & residential joinery.